Triangle H is a family-owned farm, cow/calf and feedlot operation in Southwestern Kansas, established in 1974. 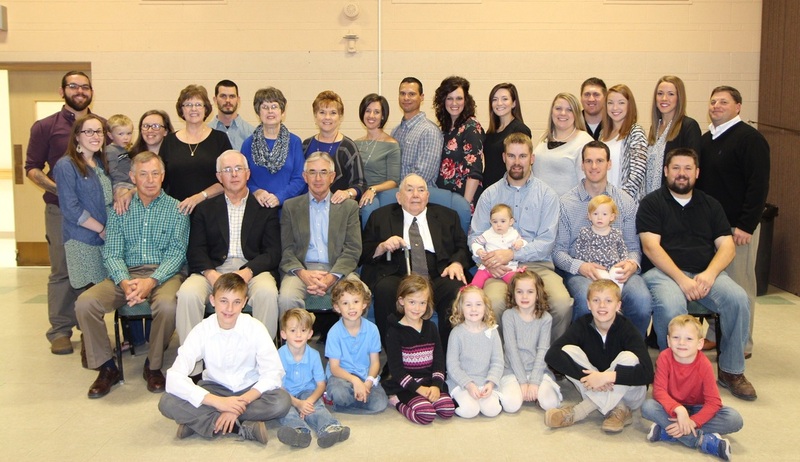 However, the family has been farming the same land for five generations, when partner Tyler Hands’s great-great grandfather moved with his family from England to the United States to farm. They eventually settled twelve miles south of Garden City, Kansas in 1919. Triangle H was formed as an operational partnership with Fielding Hands (retired) and his three sons: Sam, Greg, and Cedric. Greg’s son Tyler returned to the farm in 2008. Triangle H farms their own ground in addition to farming for other landlords which in total, encompasses approximately 10,000 acres. They have two locations, having purchased additional ground south of Deerfield in the winter of 2008. They own their machinery, irrigation equipment and cow herds. All the land is leased by the partnership; the vast majority being irrigated by center pivot systems and the remaining being drip irrigation and tilled dryland. The farming operation normally includes a split between corn, grain sorghum, soybeans, and wheat. Alfalfa is grown as a cash crop as well as a supplement for the cattle operation. Sam Hands heads up the cattle operations at both Plymell and Deerfield locations. These operations consist of cow/calf, stocker, and finishing programs. The objective of the cow/calf segment is to clean up crop residue with cool season irrigated grasses being used as summer pastures. The stocker program involves both company owned cattle as well as custom cattle and includes pre-conditioning programs, backgrounding, and wheat pasture. Retained ownership on through the finishing phase rounds out the cattle programs and is the primary means of marketing. Assisting the four Hands families in carrying out the objectives of the company are fifteen full-time employees. Seasonal help is also employed as the need arises. Triangle H utilizes a number of different specialists to keep them current with the latest technology and to help them be more efficient. The Hands family feel the partnership has given them a great deal of flexibility in addition to allowing them to pool their resources. The four partners strongly believe in regular planning sessions to include the entire staff as they deal with matters concerning their diversified and growing company. Three generations of Hands family.